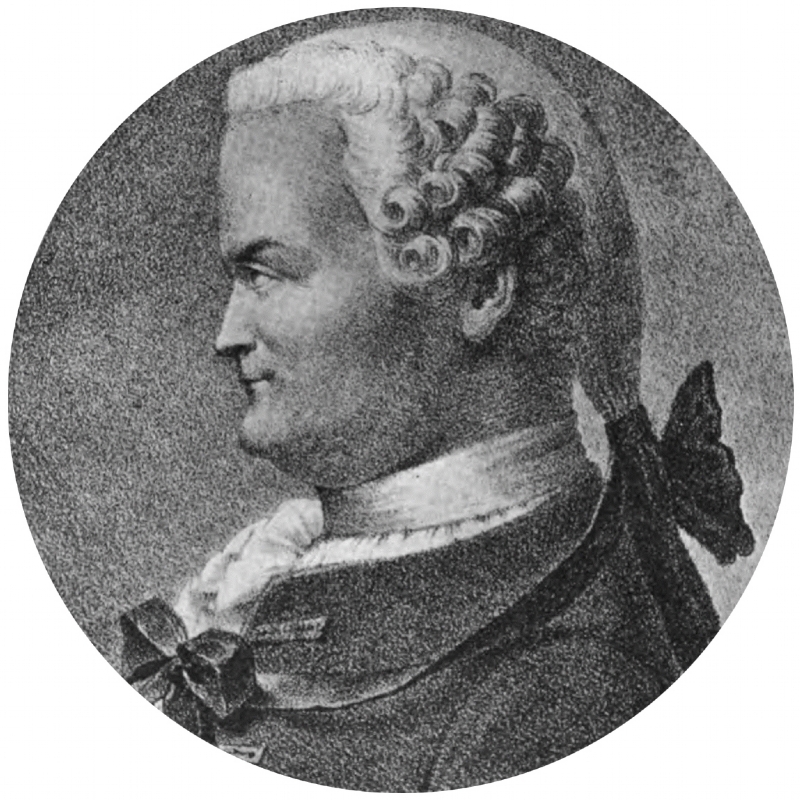 Johann Heinrich Lambert (born in Alsace, Switzerland, died in Berlin, Germany) was a famous Mathematician from Germany, who lived between August 26, 1728 and September 25, 1777. He became 49 years old. 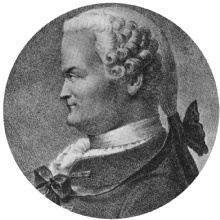 Johann Heinrich Lambert was a German mathematician, astronomer and philosopher. Lambert devoted himself as an autodidact to the study of mathematics, philosophy and Oriental languages. After 1756-58 when he was traveling in Germany, Holland and France, he settled down in Bavaria. Then he moved to Berlin, where he in 1765 became a member of the Academy of Sciences and "baurat". By Photometria, seu de mensura et gradibus luminis, colorum et umbrae (1760), he, in addition to Pierre Bouguer, is considered as the founder of photometric section of the optics. This work was of great importance to astronomy, as well as his contributions to the theory of Comet orbits were of importance. He, like Immanuel Kant, a diagram of the world system. Some other evidence for the accuracy of his astronomical theories, however, Lambert left except those which he, as 'a very positive Christian' prevented the development of theology. Hereby, however, is not to say that not many of his views by William Herschel and Pierre Simon de Laplace's exact tests got the confirmation. For example, his prediction of a subsequent determination of the solar system's movement in the fulfillment already in 1783 by William Herschel. As a philosopher, Lambert is to be regarded as a precursor to Kant, in particular through the Neues Organon (1764), in which he sharply distinguishes between thinking through the perception given the content and its forms, which appear in the logical and mathematical laws. Like since Kant refuted he both Christian von Wolf's rationalism and John Locke's sensualism, but including his correspondence with Kant showed, he could not find any consistent principle of experience forms. Kant underestimated Lambert so high that he would have acquired his Kritik Kritik der reinen Vernunft, unless Lambert died before its issuance. He is born under the zodiac virgo, who is known for Analyzing, Practical, Reflective, Observation, Thoughtful. Our collection contains 4 quotes who is written / told by Johann. "I bought some books in order to learn the first principles of philosophy"
"I am undecided whether or not the Milky Way is but one of countless others all of which form an entire system. Perhaps the light from these infinitely distant galaxies is so faint that we cannot see them"
"I understood that the will could not be improved before the mind had been enlightened"